Hit the spot is an inclusive activity to develop throwing, fielding and catching skills. 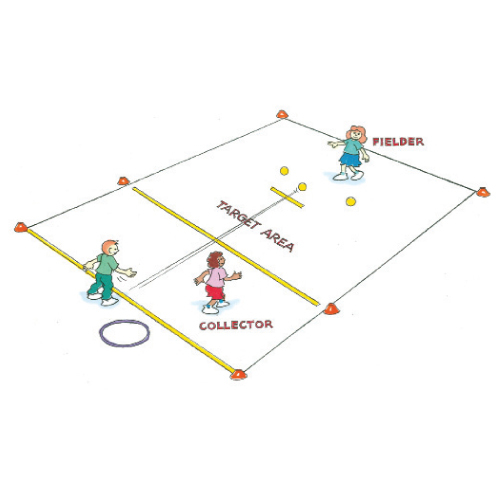 Players form pairs and stand either side of a target area marked by cones. Player 1 bounces the ball into target area. Player 2 moves in to field the ball, returning it back to the thrower as quickly as possible. Score 1 point for each successful return. What method can you use to make your throw more accurate? Where is the best place to throw the ball to score more points? In which direction should you step when you throw the ball?